Welcome to what will hopefully become a useful thread - a basic guide to the FPL Forum, a grab-bag of resources and links, an update what's what in the world of FPL Leagues & Sidegames, and a focus on our community with some interesting stats thrown in. 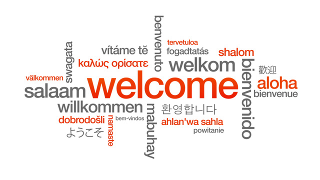 These opening 3 posts are hopefully broad enough to contain any interesting/useful content. Please use this thread to post Sidegame announcements, resource links, still relevant historical threads and anything else you think should have a mini spotlight on it. Busiest on matchdays with faster-than-light match updates ... but also open night and day for random chit-chat. Gretchen is always there with a welcoming smile. FPL Team threads big and small - short Rate my Team (RMT) threads to season long blog style expeditions. (Originally Sammy the Crabs RMT) STC - affectionately known as the Thought (or Nerd) Cave - is the tl:dr of FPL strategy threads. This is clearly very much a work-in-progress and something to bulk out over the summer. Last edited by RomynPG on 11 Apr 2019, 23:06, edited 26 times in total. Please make announcements regarding Sidegames in this thread - including link(s) and any info that you think useful. 2018/19 Sidegames - Are you up for running a FISO competition? Last edited by RomynPG on 03 Sep 2018, 22:22, edited 13 times in total. Last edited by MoSe on 22 Jun 2018, 23:52, edited 1 time in total. (The printarea is set to fit everything on one page when printed). Initial Team Rankings based on odds at Odds-Checker (14/06/18), using relegation odds, and will be updated closer to the start of the season. Once the season is underway Rankings are then adjusted with results on a pro-rata basis. Calc method outlined in a sheet in the spready. Last edited by RomynPG on 11 Apr 2019, 23:04, edited 13 times in total. Nice work RomynPG. I like that you've added an icon describing the status of each league: seeking opinions, coming soon, open. I'll be running a Decimation league this season (no thread just yet). It'll again be free entry and again I'll be sponsoring it: £50 to the winner, £25 to the manager with the highest GW38 score. Cheers - and if anyone has thoughts/ideas for better structure or content please shout ... trying to make this a jump-off point for all things FPL - and to promote the sidegames a bit. That's great ... and very generous of you again . Never got far in elimination games but will definitely be giving this a go this season. Both are now open for Registration (If you enter the H2H you will automatically be entered into the Swiss Cup, but you can enter them individually if you wish). 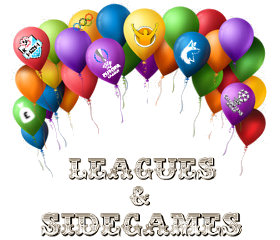 Thanks a lot Romyn for this thread and for having listed my leagues in the leagues/sidegames post! Format: very classic style, just one classic league (about 200+ managers) and one H2H-league non limited on the number on managers (in the past there were between 35 and 107 managers in). In the H2H-league three play-off-rounds are played at the end of the season. Story behind: I've created these leagues 5 years ago as an experiment, just to see what happens. Never thought they'll gonna reach the current size and they'll survive such a long time. Since summer 2016 I run infothreads on FISO concerning these leagues. Managers: First of all they come from the FISO forum and the german Transfermarkt.de forum. There is another big part of users from all over the world that found their way to the leagues individually. Since FPL stopped offering the ingame message boards in 2016, it became more diffcult for me to reach the community of FPL users outside from the two mentioned forums. Purpose: My aim is principally to give a league-home to the average, casual and newbie managers of FPL. These are by far the biggest sections of FPL players and because of that in my opinion the most important. I want to give them the opportunity to compete and measure up with a bunch of highly rated, experienced and reliable cracks, who are in my leagues since a long time already. Specialities: All time stats, updates during the season, medal tables (based on the monthly tables). I like creating these stats and it gives me a motivation and goal to deal with the leagues during the FPL season. So for me it's fun (and it's a good occasion to use my english writing), but I don't know, if people who joined the leagues notice and appreciate these activities. Future: One important principle of mine is: As long as there are at least ten managers in the leagues, I'll run them, should there be less I wouldn't. I hope to find once one or two "assistants" who could take over the classic league if needed (e.g. if I'd like to take a FPL break or whatever). 1. If someone is the always-winner of his working mates- or family-league, maybe he wants to compete in a bigger private league for having more challenge. 2. It can be more motivating to be 7th in a smaller/midsized league than 127'526th overall or 923rd in a very big private league. 3. Another reason could be: FPL is free to play. To give/pay something back to the game, it is a good and fair thing to be a part of mini-leagues and sidegames or to create them. These leagues make the game much more lively, familiar and you'll reach a higher degree of gaming fun. Good banter and shared experience and knowledge - therefore improving the players as a whole and not just an individual player in that side game or league. No problem - it's what this thread is for. I hope you don't mind but I took the liberty of doing a logo - adds a bit of colour to the listings - but if you, or others that I have done the same for, don't like them/have alternatives then please shout. On a general note if you are an admin and haven't promoted your game/league here - even if I've already listed it - please do give it a bump. ...and a bump also for all the other sidegames that are open and listed above in post 2 of this thread. The deadline for existing teams to register for this season's H2H Leagues is 23:59 Thursday 2nd August . If you don't register by the deadline then Teams below you WILL be 'Bumped' up and take your place! You will be placed on the Reserve List. I've started up FPL Pontoon again for this year. This is the same game that was run by bspittles in the 2017/18 season, but he is taking a break from running it this time around. Each Division is Six Teams which will play each other in a Head-to-Head format over 10 GWs. Two Teams go up - Two Teams go down. The new Season will begin in GW4 with drafts will taking place during the week commencing SUN 26th AUG, so there isn't too much time to sign up if you want to play. 4th post down with the heading 'FPL Fixtures and Results Grid 2018/19', if that's the one you're after.